Creating my everyday: It was a very green wearing weekend! Happy weekend everyone! Well, i'm happy to say that this past week has been less dramatic then the week before. 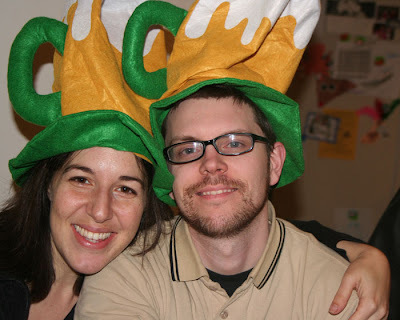 Last night, we went to a St. Patty's day party at our next door neighbors' house which was a blast - I love that we are lucky enough to have made such good friends in our neighbors. We had a couple new families come, too, including my friend Heather (so glad you guys were there, heather!). The first two pics were taken on Friday night - Noah loved these hats I picked up from Target (it's a good thing he has no clue what they're supposed to be, lol!). Noah actually took that photo of Tony and me - i'm training the boy well, hehea. I have a couple of layouts to drop off. 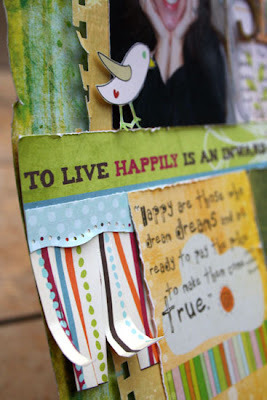 This first one was made with CMK's gorgeous March kit. I also used a lot of pp from the March mini-kit add-on on this layout as well. I love when my little guy lets me use him as a model! 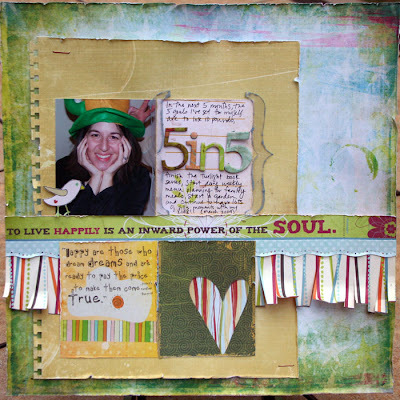 This next layout was done for this month's challenge up on the Forward Progress blog. All products are Fancy Pants. My friend Doris Sander is teaching another class starting on Tuesday. Her last class was a huge success with a great turnout! Please check it out here - she's one super talented lady!! I hope you all had a fantastic weekend with lots of fun times! 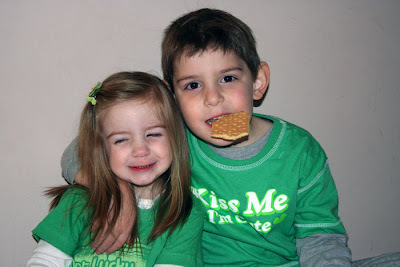 You all look adorable with your St. Paddy's attire! Sounds and looks like you had a great weekend! Love the pics, you have such a wonderful family!!!!!! Wowza, the LO's are outstanding, but we all know you are OUTSTANDING!!!! Wishing you a wonderful Monday!!! Everyone looks so awesome in their green attire! 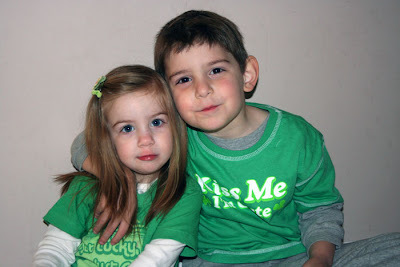 Love the pics...your little ones are such cutie pies! Really like the layouts also. Glad you had a great weekend! 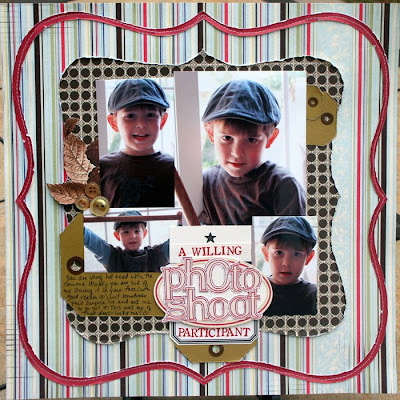 LOVE the pics of Noah in that hat in your photo shoot layout - too cute! Looks like you had a fun weekend! Love the hats and the layouts are fantastic! The photos are very fanny!!Adorable!!! I love your new pages!!fabulous!! What great pics! My class can't wait for the St. Patrick's Day festivities tomorrow! So cute!! I love the photos, Staci!! Noah is becoming quite the little photographer! 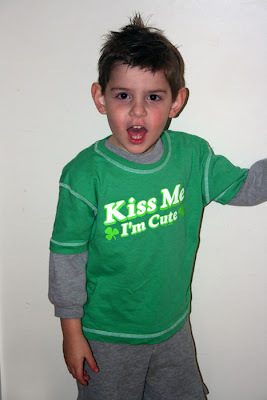 Who wouldn't want to kiss him in that shirt!! 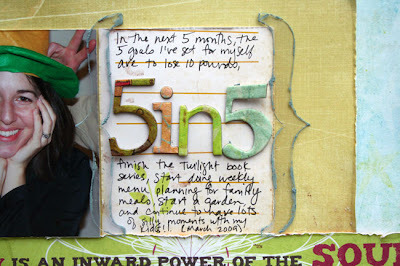 And the Forward Progress layout- OMG it is scary how much we are alike! ;) Fabulous stuff, my friend! Staci, how super cute do you look in that hat!!!! Love the pics of the kids and of you and your hubby! We have the St Pattys day parade this weekend. Not sure if we are going yet, but it always is a good time! Glad to hear you are having a better week! 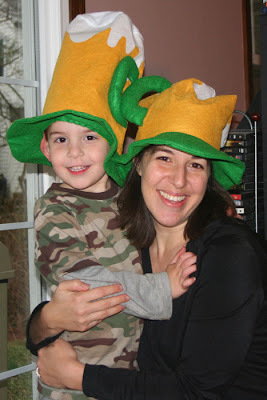 oh....and Noah and Chloe, well they are just super cute in those hats! More great pages... and I love those wearing O' the green pix! Gorgeous layouts!!!! love the cut border on the bottom one!! Awesome pics of the family...glad to hear this week is better for you guys!! 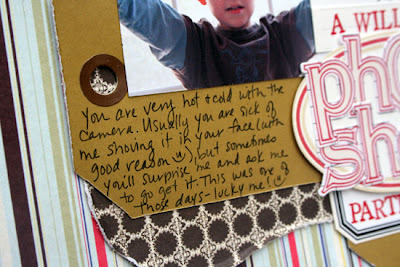 super cute pics, and love those fabulous layouts Staci!!! So cute pics! Love that LO of you inside! sooooooooooooooooo cute!! i totally love your latest layouts as well! your title work is amazing! thanks for the kind words you left on my blog - i totally appreciate it! oh yes ! 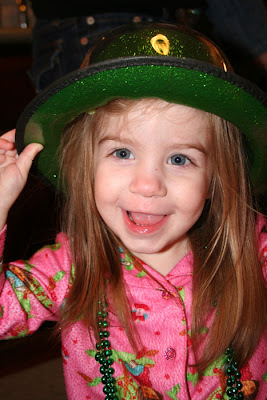 adorable St paddy pics you've got there ! hey hey ! how wonderful that Noah can get good pics for you too ! & oh my ! what big gorgeous blue eyes Chloe has !!! I've never noticed them as much as in these piccies ! It would be hard to not spoil these 2 sweethearts !!! 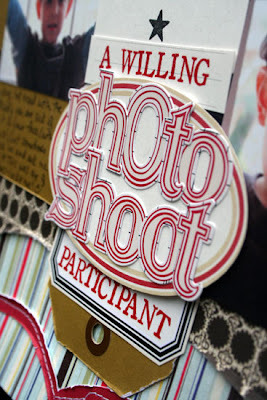 Fab layouts & details as always ! That is a lovely post full of all the little details of life. Thanks for sharing and congrats on POTD too.